This picture was undated and unexplained. Then a booklet of the Table Rock – Steinauer Alumni Association offered a clue. It included this statement citing the same four students who are in the picture above, and who appear to be in sweats. PROBABLY this picture and this article match up! FYI, Tomek, Bedea, and Rabstejnek were classmates. Photo 885. 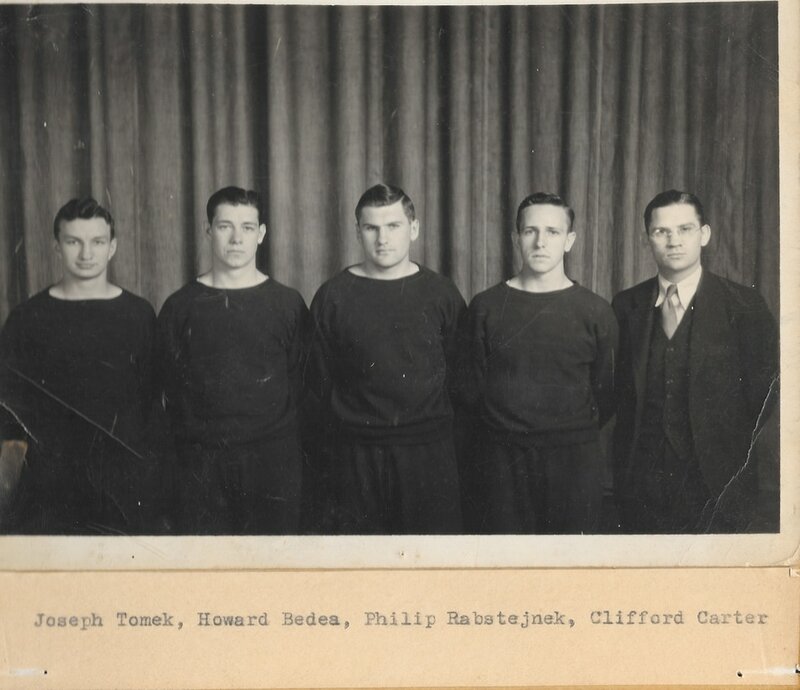 The Table Rock quartet of Rabstejnek, Tomek, Bedea and Carter won the team championship with a total of 17,275 points, nearly 100 points more than Mitchell. The winning total was surpassed in Pentathlon history only by Grand Island teams of 1926 and 1927.